Ragi Cookies: Ragi (finger millet) cookies are quite easy to prepare, very healthy and tastes very delicious. 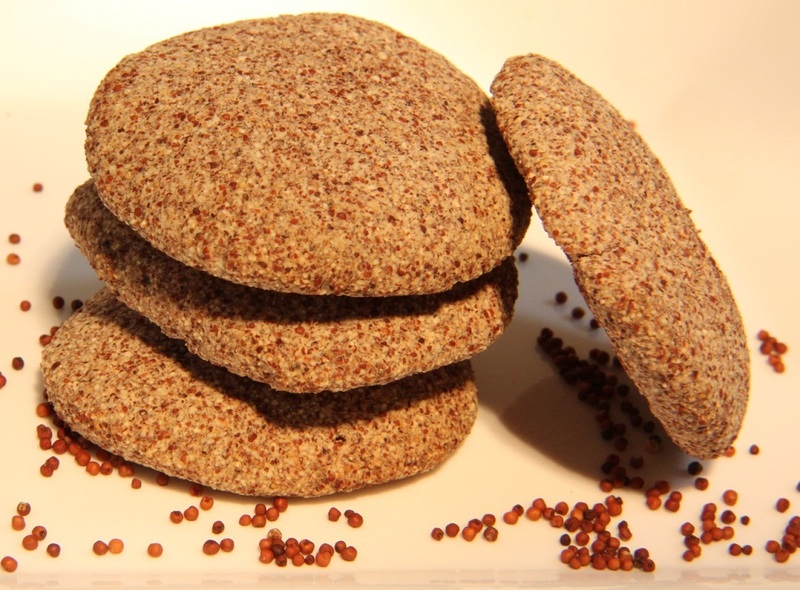 Ragi cookies are enriched with fibre, protein and calcium and are quite simple to prepare. You can have the ragi cookies as evening snacks, in between meals, at tea time or any time of the day without any guilt feelings. Grease a cookie tray with butter. Pre heat the oven to 180°C for 15 minutes. Roast the ragi flour on low flame until you get a nice smell of roasted ragi. Keep aside to cool down to the room temperature. Sieve together roasted ragi flour, wheat flour and baking powder. Add the cold butter pieces to the sieved ragi – wheat flour mixture. Add 1 tsp milk at a time to make smooth dough. Dust with wheat flour and roll out the dough. The rolled out dough should be about 1/2 cm (0.5 cm) thick. Cut the rolled out dough into desired shapes, using a lid or cookie cutter. Alternatively, you can make small balls out of the dough, press it between your palms to give a round flat shape (just like cookies. Place the ragi cookies on the greased tray. Bake the ragi cookies at 180°C for 15-20 minutes or until the biscuits start browning slightly. Remove the ragi cookies from the oven and cool on a wire rack. Once the ragi cookies cool down to the room temperature, they will become crisp. Ragi cookies are ready to be served. Ragi cookies can be stored in an airtight container for 2 weeks. If you have any queries regarding the Ragi Cookies recipe, please leave a comment.